Open from 6.30am to 10pm Monday to Friday and 10 am to 6.30pm Saturday, Sunday and Bank Holidays, our professional and friendly fitness team are on hand to motivate and educate you to enjoying a healthier lifestyle. Our modern Leisure Club provides the very latest in high tech equipment coupled with luxurious surroundings and highly qualified staff to ensure that you obtain the greatest benefit from your visit. Whether you opt to work out in the fully equipped gym, relax in the magnificent 20 metre pool or pamper yourself in the Jacuzzi, you will find all your needs catered for. The leisure club offers up to 15 free classes a week to its members including spinning, Pilates, aqua aerobics, body attack and the ever popular tone zone. Each members has the option of having a personalised fitness and nutrition plan drawn up to adapt to their training and fitness objectives and staff will monitor this programme to ensure that it suits the individual member. The leisure club also offers both Sports Rehabilitation and Massage and Holistic Therapy. 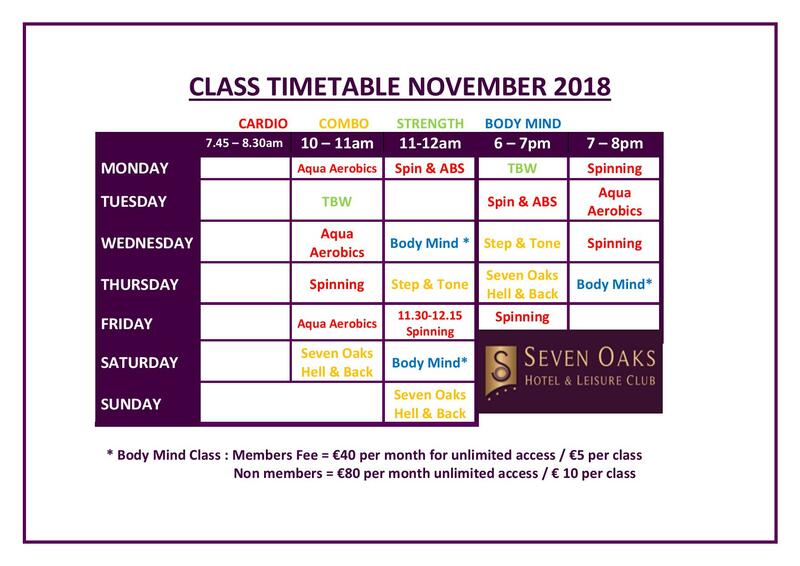 Greenbank Health and Leisure Club at the Seven Oaks Hotel remains very competitively priced with special offers for Families and Student memberships and short term packages that prove very popular with members. You can see our Leisure Club Timetable here.